Friday Friends is a craft group who meet together on Friday mornings from 10am to 12 noon during school terms. 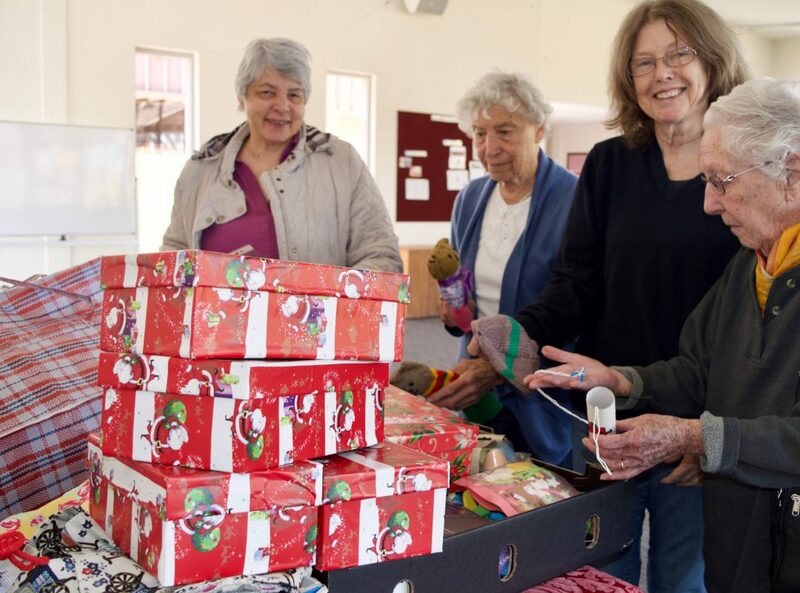 We enjoy socialising and to preparing items for the Operation Christmas Child shoe boxes. Each Christmas these boxes are sent to poor children in Vietnam, Laos, Cambodia, Fiji or New Guinea. The group undertakes a variety of tasks to suit all interests and abilities including: machine sewing clothes, creating picture books, knitting beanies, making soft toys and hand sewing. All are welcome to come and join us. We enjoy spending time with others who share an interest in craft and a passion for the work of Operation Christmas Child.